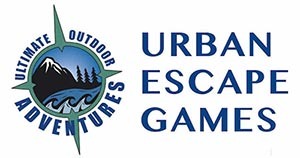 Experience live Escape Games - a fusion of the new wave of escape entertainment and passion for the outdoors (city, park or in the wilderness). Do you have what it takes to escape while racing against the clock? Find yourself entangled in a mystery outdoor quest that will wind up your mind. To complete the mission discover hidden clues, solve puzzles, use critical thinking, be observant and more. It is unlike anything you have ever played before - an absolute MUST DO experience in Vancouver! Awaken the Spirit of Outdoor Awareness and Rejuvenate the Mind, Body & Soul through the Passion of Adventure. This was a fantastic team building and team bonding event. A perfect combination of brains and brawn!! You definitely get to “know” your team members and the laughter is infectious. Your group is awesome. Thanks for putting your heart into making our event extra special. Because of you and your special skills many will be sheltered. God bless you. You are awesome! Tightly organized, professional, un-flappable and gracious to everyone! You are an ASSET to every fun – filled event! What a fantastic day! Thanks for all your work in planning and facilitating such a meaningful team building event. Everyone has commented that I have been one of the most beneficial group events that we have ever participated in. you have for exceeded expectations and delivered a program that I believe will be marking point in our road ahead to building an executive cross-functional/ international team. Thanks again. Had a great day! We really enjoyed our time. Thanks for the great day and great the memory! Fun all around! Awesome, exciting; it made me smile. Good times! Thanks! You rock!! That was a blast. Thanks. A fun and exciting experience with a great team!! Thank you so much. Fun + Challenging = A great team activity. Thanks. An energizing & action packed experience. It really tied into our morning insights workshop. An awesome experience! A great way to get to know your fellow co-workers! A great learning experience – fun, energetic and interesting. A well spent day!! What an awesome day! Fun, inspiring, relaxed and so very enjoyable! Thank you both so much! Incredibly well done – course was fun and challenging – we all had a BLAST! Organization was awesome and tasks purposeful. Thanks so much! Thank you for a wonderful afternoon! It was great to get out and have fun together. Thanks for making it a great experience. Thanks for the wonderful day! Today was a very good time and the food was wonderful! Thank you. An excellent opportunity to meet the team. Fun + exercise – great combination. It was a wonderful experience. A team exercise and lots to learn as a team. Definitely a “do again” thing! It’s a great bonding exercise for us, and lots of fun. I learn something definitely. Awesome day. Total adventure -true teambuilding. Keep up the good work. An amazing experience & extremely enjoyable day. Thank you! Thank you very much for the day. It was more than I expected. Thanks for a great adventure, keep up the great work. Wow! Thanks a lot! We had a bunch of fun! Really well organized! Thanks for a fantastic day. Tons of fun & great exercise! Thank you so much for a great day, learning has never been so fun. I wanted to say a big thank you to you and your team - the event was a great success. I had a lot of positive comments back the following day. They all thought the event was very well organized and very professional. Personally, I was so happy that you took over the organization of the entire challenge and all we really had to do is turn up on the day - makes a welcome change for me :) I have posted your details for other administrators in the company and have been singing your praises to them all. Once again, thank your for an extremely fun afternoon! Give your team powerful wings to achieve success! Make our action-oriented and results-based team building activities the key investment in your future! Your students can develop strong self-esteem, decision-making skills, group and individual problem solving abilities, planning and determining tasks with our orienteering based leadership programs. Intellectual, emotional, and physical abilities are all challenged in this high energy and fun activity.